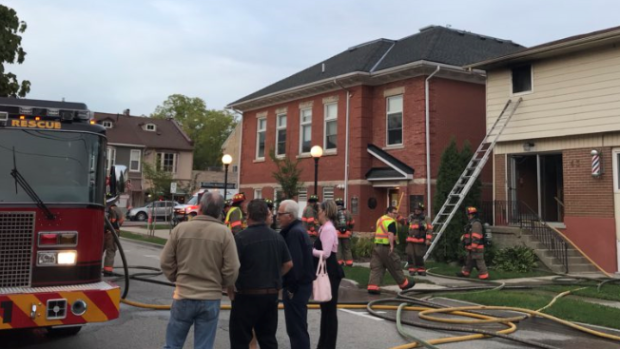 Firefighters say a man was unconscious when they pulled him from a burning apartment building in Elora. Crews were called to the 5-unit building on Henderson Street around 6:30 p.m. Saturday. Smoke could be seen pouring out of the window on the second floor. Firefighters found the man inside the unit where the fire started. He regained consciousness at the scene before being taken to Groves Memorial Hospital in Fergus. Another resident tried to enter the man’s unit but had to stop because the smoke was too thick. The water used to extinguish the fire caused damage to the building’s electrical fixtures so residents have not been allowed to return. The fire is still under investigation but officials believe the cause is cooking-related.